The last leg of my artistic and literary journey for 2013 has come to an end and I am now standing in the doorway of 2014, waiting expectantly to enter the different rooms and see what is in store for me. Hopefully, it will be a year of continued growth based on the seeds that were planted and nurtured throughout the year. I entered 2013 with some skepticism since I was trying to get back on course after a few health issues that derailed some of my plans the prior year, yet I was able to achieve a few of the set goals, but not close to what I had envisioned. 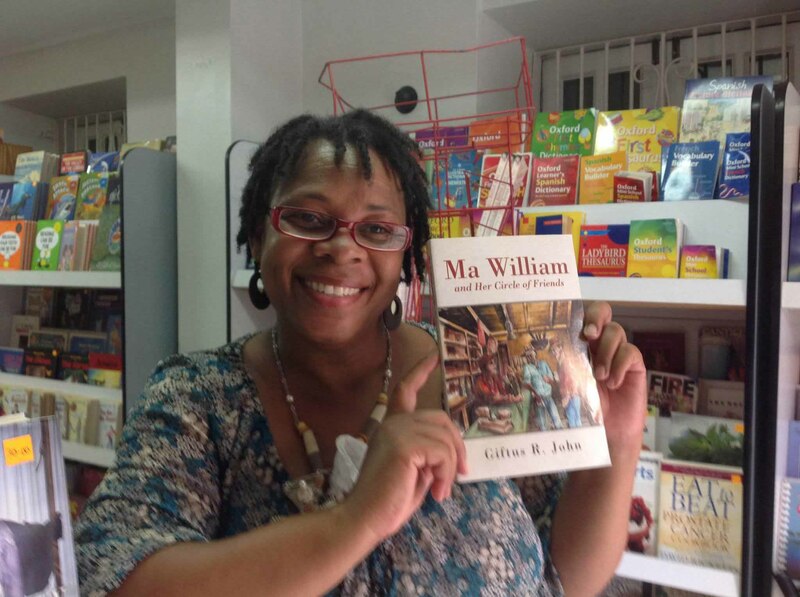 My main effort of concentration in 2013 was working on promoting my book, “Ma William and Her Circle of Friends,” and I put a lot of effort and time–long, late hours–finding creative ways to reach out to the Dominican public and share the story of Ma William-a shopkeeper in the village of St. Joseph, or, of any village in the island and possibly the Caribbean. I had to find innovative ways to do so on Facebook and online generally, while at the same time working a full-time job. But nonetheless, I gave it my all and throughout the year I participated in a number of events by Dominican organizations, where I displayed my work. At the same time, I have been working on two new projects and also trying to keep this blog current and trying to remain sane while all other things circled around me. I stepped down as a member of the Dominican Poetic Circle (DPC) after unwarranted attacks of my work and my ability, made by a member of the group on the DPC Facebook site. That gave me the incentive to push on alone to achieve goals that I had set for myself. 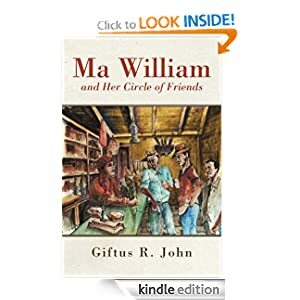 I became more focused on my own pages on Facebook; Ma William and Her Circle of Friends and Mesye Kwik! Kwak! as well as my personal page, and went on promoting my work much more than I had done previously and gained personal satisfaction from so doing. However, none of that would have been possible without the support of a number of individuals, most of whom I met on Facebook and DPC, but have never met personally, who rallied behind me and supported me through it all. Les Li, Jenny James, Joszann St. John, Eunice Nisbett, Delia Cuffy-Weekes, Kalinago Woryi, Paula John, Gloreen Vigilant, Rhona Lawrence and Marva Paul Loblack, among others. I also had the opportunity to assist and work with some other Dominican authors throughout the year. I was extremely pleased and gratified that I could assist in their projects and honored for the trust and confidence they placed in me by seeking my help and advice: Catherine Pierre, Joszann St. John and Gweneth Jules-Moorhouse, most notably. As a self-published author, it has not been an easy task to get the work in the hands of the public, but it is a challenge that I have embraced and appreciated and I do not spare any available opportunity to promote my work. If I don’t then who will…Well, some will, I should say, like Jenny James, an individual I have met only on Facebook, who has wholeheartedly given me her support by promoting all aspects of my work. I thank Jenny for her unselfish act and I cannot be more humbled by it all. The literary journey that began over 40 years ago at the St. Mary’s Academy, has given me the opportunity to reach many individuals both in Dominica and overseas, and I have gained a lot of satisfaction and personal growth along that journey. 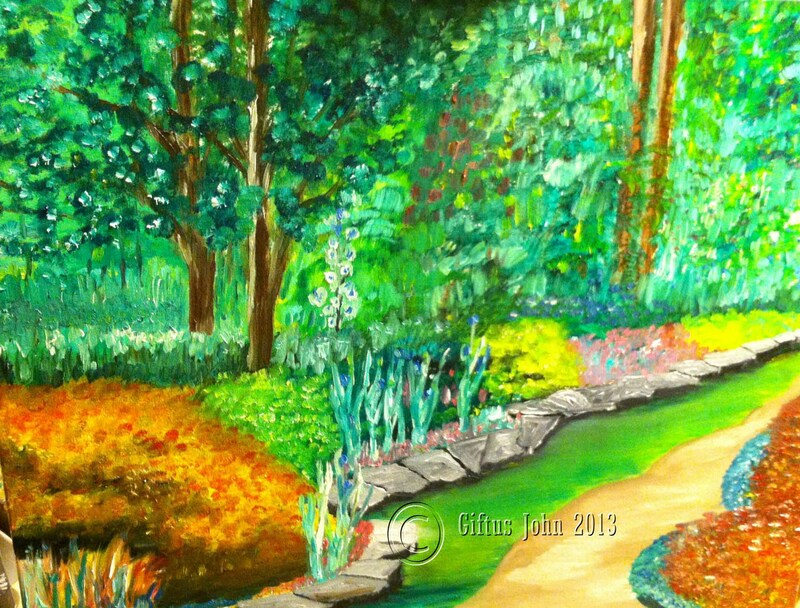 At the beginning of 2013, I decided to devote more time than I previously had to my paintings and that, too, turned out to be a rather pleasant surprise. I have been amazed by the feedback that I have received about my paintings and I have been left to wonder if my painting is beginning to overshadow my writing. It has been refreshing the manner in which many have gravitated to my paintings and this was very apparent when I was working on my latest piece which I entitled The Village. There were daily comments made on my Facebook page by those who were rather impressed with the piece. And all this after I had gone into hiding for over 25 years…well to my daughter’s angst, I must say. But all is well now. 2013 also saw a new perspective in terms of my photography. I devoted much more time in order to push myself and do more; create more and showcase my capabilities behind the camera. I recently joined the Newark Camera Club based in Springfield, NJ and the rewards have been instantaneous. I have the opportunity to see other photographers at work and get insights and ideas from them. I have not been more energized than I have been these past three months and I am enjoying it all. God-given talents are not to be left stored away, I learnt, so I am more invigorated than ever before. I organized an exhibition of all my works as part of Dominica’s Independence celebrations on the 3rd of November at the Knights of Columbus in my hometown, Union, NJ. To say the least, I was disappointed with the response from those whom I had invited, but I cannot in any way discount the appreciation I had for those who attended; some coming from the Bronx and Brooklyn. Besides, I was proud to display my work and feel a sense of accomplishment regardless of the turnout. I saw this as a foundation to build on and an opportunity to feel the response of those who attended and share a little bit of me with them. But, besides the few hiccups that I experienced during the year, there were a few bright spots added to those of my artistic journey. There were some family accomplishments that helped lift my spirit. My son, Jamal, graduated from Temple University with a Civil Engineering degree and soon after that was able to get employment; my daughter, Mandisa, returned to the University of Pennsylvania to do a Master’s Degree in Education, and me, I worked on getting myself healthy again, while having to deal with one of the low points of the year…my wife being laid off from her job. Although this has given us the opportunity to share a lot of time together, it was not the way we had envisioned things. It however, allowed her the time to critique my work as I produced my pieces. The situation is out of our control so we will work together to make it better. But, as I stand in the doorway of 2014, I am very optimistic of what lies ahead. I don’t know what to expect, but I am determined to build on what I laid down in 2013. Getting the time to build on it will be at times difficult, I know, but the results will be what I focus on. I have not been fortunate to attend The Dominica Literary Festival…will this be the year? I am still not sure. I also want to take all aspects of my work to another level and with the support of my family, both here and in Dominica, and all the Jennys out there, I will be able, I pray, to do so. I will continue to participate in activities where I can meet fellow Dominicans, and God willing, financing available, I look for ward to being able to get another project completed and published this year. It will be a tough mountain to climb, but each journey begins with a single step…I have made that step. I am very excited about what I will find in the various rooms as I walk through, but whatever, I am ready. I also look forward to continuing to work with other authors and writers with whom I have partnered during the past year and I hope that together we can turn the tide about the literary development in Dominica and by Dominicans. I will continue to use the social networks to my fullest advantage and expose to, not only my Facebook friends, but anyone who cares, my work as an artist and the creations produced from such abilities. Hopefully, that can translate into some financial rewards, also. Don’t want to be a starving artist, you know. So, let me say a sincere Thank You to all who have been on that journey with me during 2013. It was indeed a pleasure and a wonderful journey. I invite you to come along with me again this year as I journey through the various rooms, chapters,the hills, mountains, plains, on the seas and rivers, as 2014 rolls along. God’s richest blessings to all.